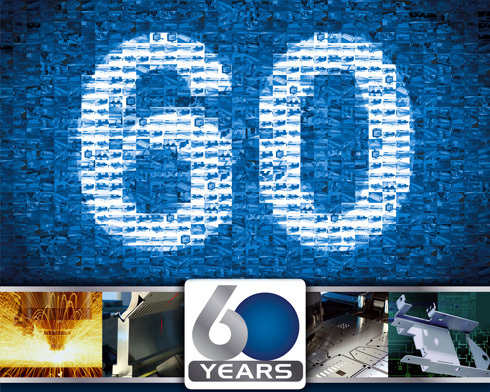 Gullegem, Belgium – LVD Company nv marks its 60th anniversary as an innovator in the design and manufacture of sheet metalworking equipment for fabrication. The company began producing hydraulic presses in 1952 and today is a leading manufacturer of punching, laser cutting and forming/bending machinery. LVD maintains production units, sales and customer service operations in more than 45 countries. In addition to its headquarters in Gullegem, Belgium, the company operates production facilities in France, Central Europe, Asia and the United States. LVD also maintains technical centers located in Belgium, the U.S., the UK, China, Thailand, Korea, Malaysia and the United Arab Emirates. Its products serve a diversity of industries such as subcontract/job shop, fabricated metal products, transportation, construction, agricultural, and electrical and electronic equipment. “A skilled and dedicated workforce combined with a strong, long-term vision for growth centered on advancing sheet metal technology to serve our global base of customers is reason for our longevity,” states LVD company Chairman, Jean-Pierre Lefebvre. The 60th anniversary celebration will be centered on the theme: Passion, Innovation, Solutions. A detailed history timeline can be viewed at lvdgroup.com. This entry was posted on Friday, July 13th, 2012 at 2:38 pm	and is filed under Laser, Plasma, Press Brakes, Punch Press, Shears. You can follow any responses to this entry through the RSS 2.0 feed. You can skip to the end and leave a response. Pinging is currently not allowed.